Employers say backfill costs are a disincentive to recruiting nursing associate apprentices. Speculation is mounting over whether the government has met its training target for nursing associates. Official sources have declined to confirm figures amid speculation about low uptake. 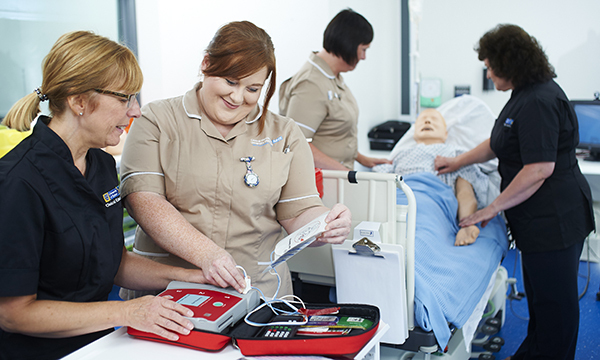 The first cohort of nursing associates will be able to join a role-specific section of the Nursing and Midwifery Council (NMC) register on 28 January. This will allow them to begin practising in the NHS in England. Neither the Department of Health and Social Care (DH) or Health Education England (HEE) will confirm how many students have entered training programmes in the past two years or how many were due to start work this year. Government had planned for a cohort of 2,000 to begin the two-year training in 2017, for 5,000 more to begin training in 2018 and 7,500 to begin training in 2019. Yet estimates published this month in an NHS Improvement document on the deployment of nursing associates suggest only 700 nursing associates are expected to take up posts this year. By last Easter, only 1,018 trainee nursing associates had been recruited to programmes. Employers have repeatedly cited backfill costs as a big hurdle when taking on nursing associate apprentices because the trainees must leave their workplace for two days a week for training purposes. Council of Deans of Health executive director Katerina Kolyva questioned whether the targets were deliverable considering employers' financial constraints.